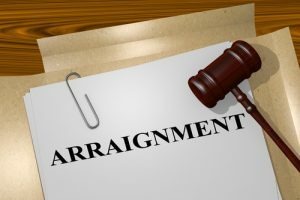 In Michigan, an arraignment is a short hearing held before a district court judge or magistrate. After you’re arrested, you will be called into court. Once there, the judge will inform you of the charges against you as laid out in the “Complaint” (the charging document) and explain your constitutional rights. The judge will also inform you of the possible penalties if you’re convicted. For misdemeanor offenses, you may enter a plea of guilty or not guilty, or you can stand mute, which the court treats as a “not guilty” plea. If you’ve been charged with a felony, the court will set a date for a probable cause conference and a preliminary examination. If you’ve been arrested or charged with a crime in Michigan or Macomb County, please contact Michigan Justice at (586) 221-1400. Consulting with an experienced lawyer from our firm can better ensure that your rights are protected. The head of our criminal defense department, Goran Antovski, is an accomplished defense attorney who has formerly handled cases for and with the Macomb County Prosecutor’s Office. He and the Michigan Justice team will rigorously and steadfastly defend your rights and work to provide the best possible outcome for your case. Your Right to a Lawyer: Legal Representation is Important! At the arraignment, the judge will inform you of your right to an attorney (in most cases). If you cannot afford an attorney, the judge may appoint one to handle your case. The court must assign you an attorney if the judge is considering jail as a possible penalty, or if you are charged with a crime that requires a minimum of jail time upon conviction. In any event, legal representation is very important—don’t wait to get a lawyer. In Michigan, arraignments must take place “without unnecessary delay.” If you are arrested without a warrant and evidence was obtained after your arrest, an arraignment must occur within 48 hours to establish probable cause for the arrest. You do not need to pay any money. The court will release you, but you must attend all court proceedings and keep your “nose clean.” That means no illegal conduct. You are required to pay ten percent of the full bail amount. If you fail to appear at any necessary court dates, you must then pay the remaining 90 percent. If you use a bail bondsman, Michigan law requires you to pay 25 percent of the full bail amount, and the bondsman will also take a ten-percent fee, which is non-refundable. The bail bondsman posts the entire bail amount and promises that you will attend court on the necessary dates. In consideration for this service, you must pay the bondsman a ten-percent fee, which is non-refundable. You must pay the full amount, in person. The money will be refunded to you, minus any court costs, after you appear at all your necessary court dates. If you fail to attend court when called, you forfeit the entire amount. If you’ve been charged with a crime and do not have a lawyer, it is crucial that you get one fast. At Michigan Justice, we fight for our clients using comprehensive and thorough criminal defense strategies. If you need assistance in Macomb County, or throughout Michigan, please don’t hesitate to contact us at (586) 221-4100. You can also email us here. Remember, it is important that you have a lawyer ready to protect your rights and your freedom.